Pixelache | Acoustic Space. No. 8: "Energy"
News : Acoustic Space. No. 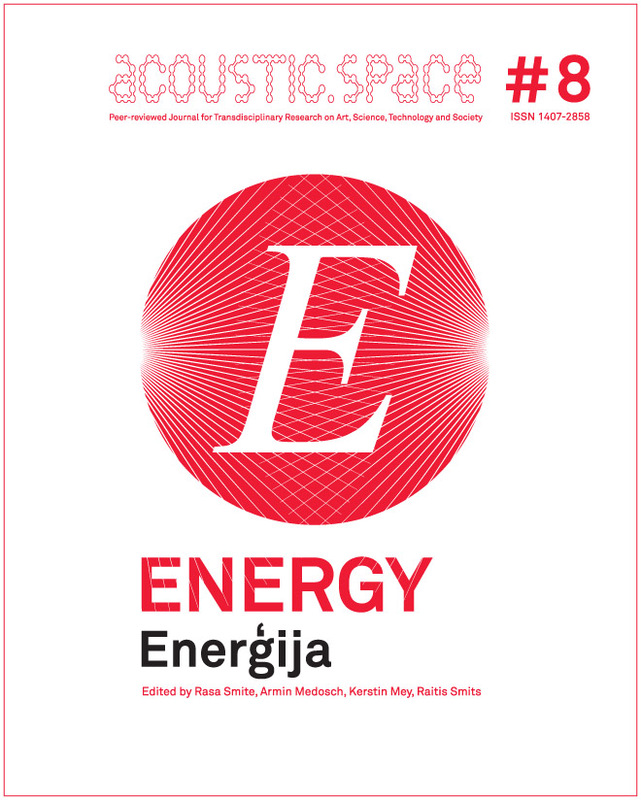 8: "Energy"
The Acoustic Space No 8: "Energy" publication has just been published and will be presented in Camp Pixelache on Sunday 13 March. More information in the announcement below. We are pleased to announce that the ENERGY publication has been just launched! In human society, energy is the most essential resource driving its economy and its future development. Yet, the currently used forms of terrestrial energy production are non-sustainable, posing serious danger to climate, people and the environment. Now, in the twenty-first century, human society with its information technologies needs more resources then ever before, thus sustainable development of both energy and information technologies have become the key issues of the present. Building on the notion that saving-the-world scenarios can be successful only if people from different fields become more susceptible towards new ideas and new collaborations, this issue of the Acoustic Space journal aims to become a cross-disciplinary platform for innovative thought combining the results of both scientific and artistic research. In this volume, scientists and artists, academic researchers, media theorists, social scientists, activists and other lateral thinkers are introducing their scientific and artistic, utopian and critical visions on future terrestrial energy. The growing community of [Renewable] mailing-list is open, welcome to join!